Fish and kids have the same relationship as veggies with kids, if ever there's a good connection at all. And like any other families, I have difficulty in feeding my little ones but I got lucky with two kinds of fish. They make exceptions for sole and SALMON. With salmon, we are limited to just one way of cooking them. On the griddle with no oil nor salt. It's the healthiest way to eat them and I am really happy that they prefer to have them as simple as that. Salmon is a naturally oily fish so I don't add anything anymore when I cook them. Not putting salt was not by choice at the beginning but was just due to my forgetfulness. Every time I forget and try to sprinkle salt on them later on, my son stops me and tells me that it's already fine while the rest of the family agree with him. From then on, I don't put anything at all on our salmon anymore. Since I like having dipping sauces with grilled or fried food, the usual sauce I prepare is soy sauce and lemon then sometimes with ginger too to give it more flavor. 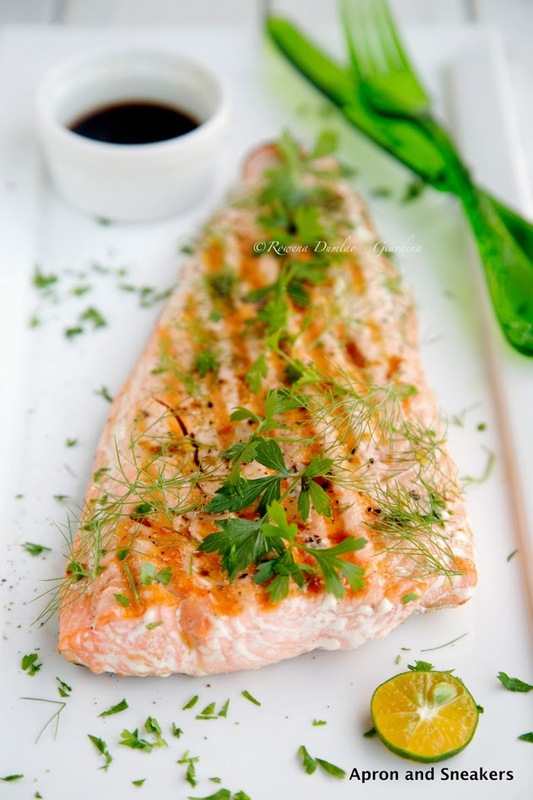 Naturally grilled salmon doused with this sauce is absolutely divine. It's so simple and healthy! If my whole family enjoys it, you might find it's the one for you too! The recipe is at She Knows, where I often share the recipes that I created. 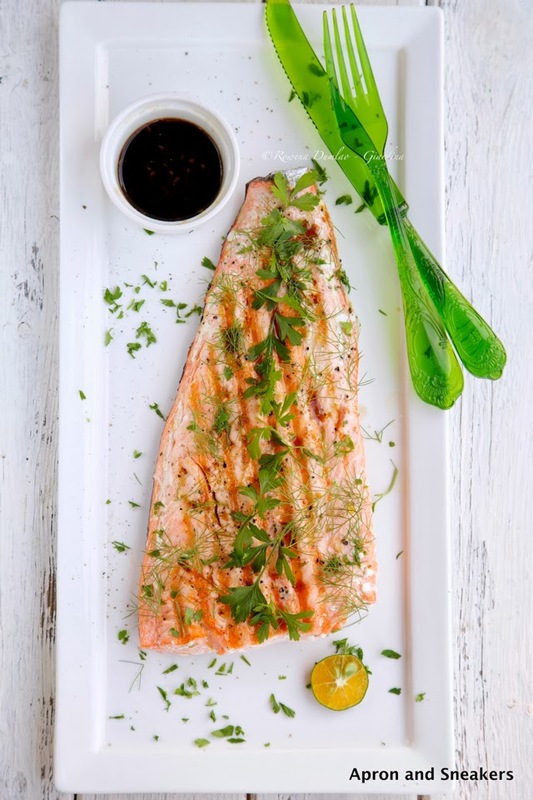 Click on this link to see this salmon recipe. If you want to check out the list of recipes I created for their site or travel articles I have written please click on this link.